Learn how to add subterranean locales to settings – or use one of the genre seeds to begin a campaign underground! 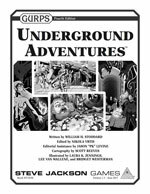 Augment your adventurers' exploratory equipment options with GURPS Low-Tech, GURPS High-Tech, or GURPS Ultra-Tech. There's magic in them thar hills! 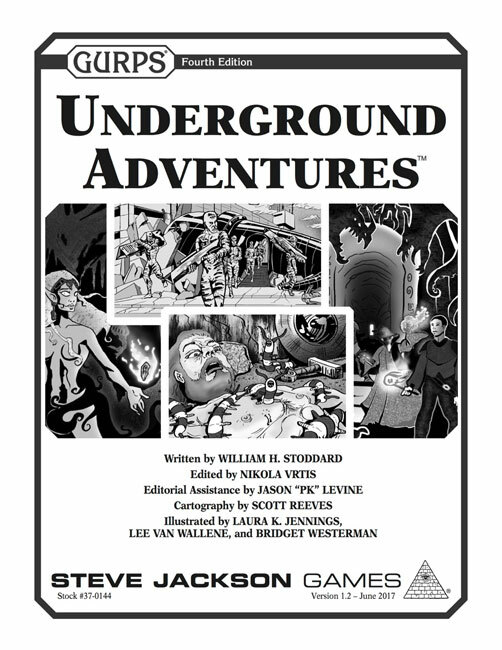 Alongside the spells and arcane wisdom in Underground Adventures, your mountain-minded mage can unlock his full potential with GURPS Magic. Use the descriptions and real-world info from this supplement to add detail to your Dungeon Fantasy campaigns. Bring your insight into the earth's secrets to a modern-day fantastic locale with GURPS Locations: Metro of Madness.